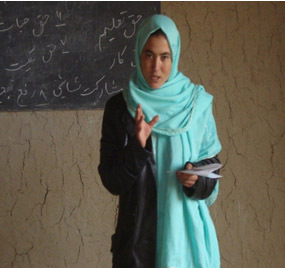 Ms. Nasima D/O M.Hashim is student of Khoshi Girls’ High School has stated that before we did not know about women rights and civil rights, after receiving training workshop about both of them we have got comprehensive awareness on both women and civil rights. Before knowing these subjects we were believed not to be a decision maker in the family especially for our future life. It is a custom among afghan people while fighting among the communities or families are happened, further to have peace within their communities or family, the elder are exchanging girls or daughter without asking them, they marriage her/them with unknown man. daughter did not have right to choose her life partner in future and the same is the case with boy’s family, life partner for both boy and girls could be burden on them by the family leader, the Afghan Constitution and Civil Law awareness made us strong to defense from our rights, though the law breaker is our father, mother and brother. One more thing that son of the family has more value and respect in the families rather than daughter, most of men believe that women and girls do not have the ability to work out side of the house and also believe that women are inferior to men they deserve to sit in side of the house and don’t have the right to work in society. Now as I believe myself on the base of achieving knowledge and skills, I do challenge that the women also can be good social worker as the men. For instance: women can be a good doctor, engineer, lawyer, scientist etc. as we know that most of the doctors in the city and most of the teacher in the school are women and they expedite their jobs in appropriate manner. 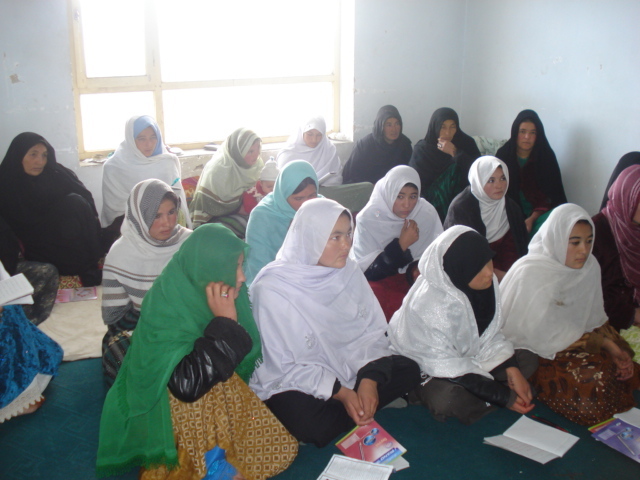 I believe for the great positive changes in the Afghan women and men lives, if knowledge and right awareness are being given properly to all afghan women and girls, I promise most of the violations against women and girls will be vanished and decreased, I do hope that program must be promoted to the other far flung areas of the different provinces of Afghanistan, I am really appreciating Shuhada Organization for such a useful and effective program for our deprive communities.